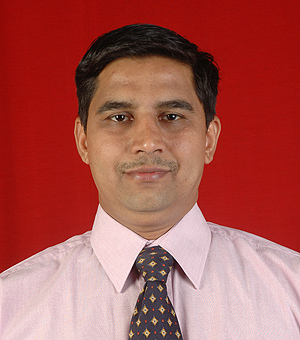 Vinod Shete (38) has been appointed Finance Controller of Concentric Pumps (India) Pvt. Ltd, the Pune-based manufacturer of pumps for diesel engines. A qualified Cost and Management Accountant, Vinod Shete studied at Pune University, gaining a Bachelor of Commerce degree. He began his career with Lawkim Limited ( Godrej Group ) and has accumulated a wealth of experience in managing finance functions with major national and international companies such as INA Bearing , Godrej and Deepak Fertiliser, both in India and abroad. Vinod Shete joined Concentric in 2006 and in his new role assumes overall responsibility for the management of all finance and IT functions. He will also be a member of the company's Operations Team, reporting to the Managing Director, Nitin Pagrut. Concentric India has been manufacturing in Pune since 1999 and in 2004 it opened a new plant there with a total area of 60,000 sq.ft. The appointment of Vinod Shete is particularly timely, as the company is in the process of completing the next stage of its expansion, which will add an additional 40,000 sq.ft of space. This reflects Concentric India's success in furthering the company's strategy for worldwide sales growth, low-cost high-quality manufacturing and supporting customers locally wherever they manufacture. Concentric, which has recently been acquired by the Swedish-based automotive group Haldex, is a leader in diesel engine pump technology for applications ranging from trucks and buses to materials handling, construction, agricultural and off-highway machinery. In addition to oil, fuel and water pumps for diesel engines, Concentric also manufactures fan support brackets and lubrication pumps for transmission and compressor applications. The group centre of excellence for design, development and engineering is located in Birmingham, UK, while other manufacturing plants are in the USA and China.